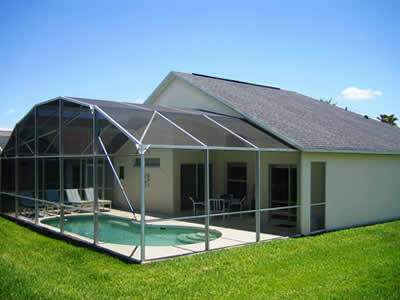 Our four-bedroom villa is situated on the prestigious gated community of Southern Dunes Golf and Country Club. 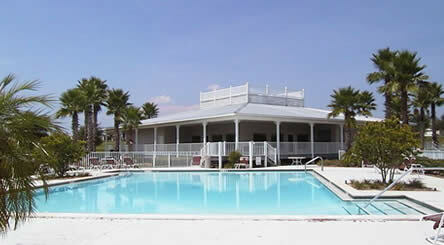 A beautiful landscaped area, lined with palm trees, it is an idyllic place to stay for both golfers and non-golfers alike that are looking to enjoy all the attraction of Florida. 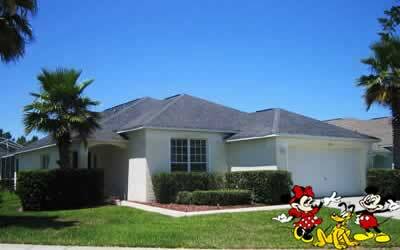 The Villa is situated within an ideal location, with very short distance commuting to Disney attractions and transfer journeys to and from either Sanford or Orlando Airports. Southern Dunes Estate is a private urbanisation with 24 hrs security control and links to the I4 main Highway within 5 minutes. From the I4 Highway you are within 10 to 15 minutes of the main Disney parks being Magic Kingdom, MJM Studios, Epcot and of course all the various Disney Water Parks. From the I4 Highway, you can also commute directly to the Bush Gardens Park in Tampa Bay or the Beach resorts of Clearwater and St Peters Bay. Southern Dunes is a gated community set in attractively landscaped grounds surrounded by the fairways of the renowned Steve Smyers designed Championship Golf Course. The community has a large clubhouse that has a very reasonably priced bar and restaurant and villa residents are very welcome to utilise the Golf Course and Driving Range. 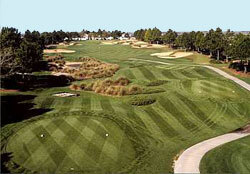 Southern Dunes offers an extensive practice facility featuring driving range, putting green, practice bunkers and a short game area. Southern Dunes Golf & Country Club is the only community to have large supermarkets, garages, shops, video stores, restaurants etc all within walking distance. 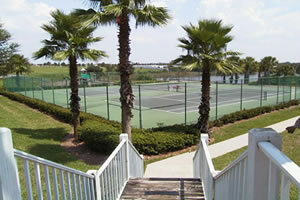 The villa is very accessible to all major parks, shopping malls etc. Southern Dunes is situated on Highway 27 and is only 5 miles to the Interstate 4 that takes you to the east or west coast in about 50 minutes. Click here to view Google maps where you can zoom in & out and get directions. 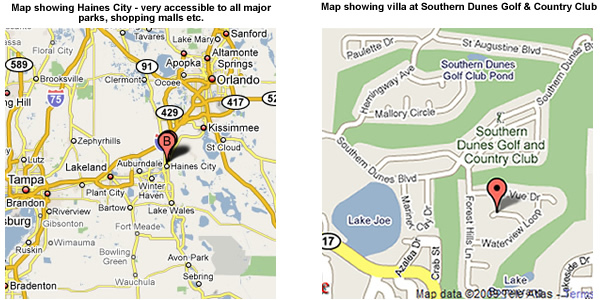 From Tampa : Take I-4 east to exit 55 then go South on Hwy 27 for 7 miles, entrance on the left beside Super Walmart.